Veganism is typically talked about as being extreme, unhealthy, and tasteless. All which are very false, especially the latter. As a food lover and vegan, I have found that these two are not mutually exclusive. I don’t have to compromise the abundance of delicious foods in order to live a cruelty-free lifestyle. I’m not trying to convince you to be vegan; I’m just saying that every once in a while, even meat eaters should indulge in the power of plant-based goodness. 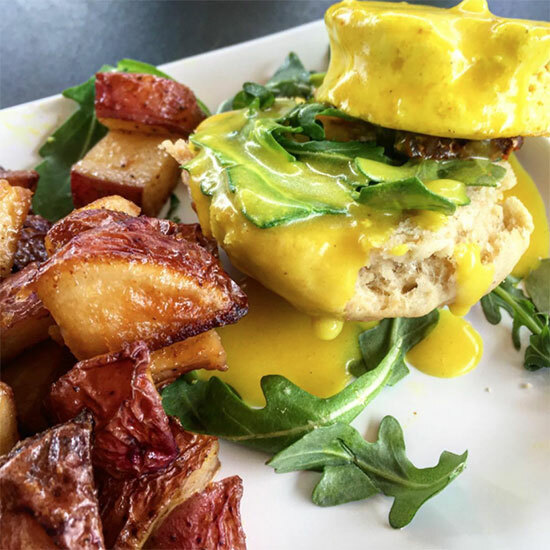 So here are the top seventeen easy and delicious vegan takes on your typical brunch foods — I dare you not to drool. 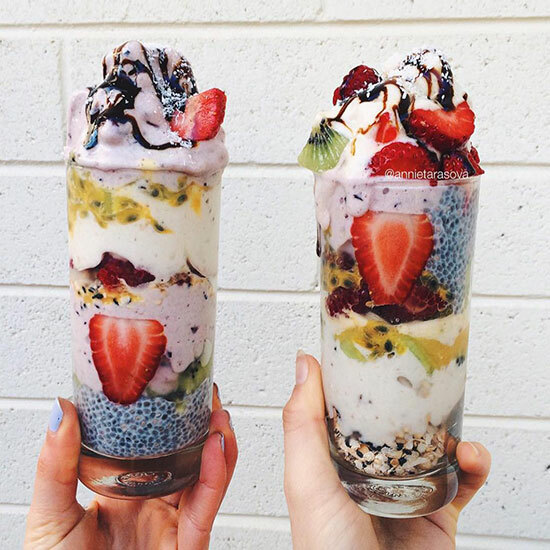 Not only is this tasty and cruelty free, but it is also a healthier alternative to the typical parfait. Use “nice cream“ to make it healthier and alter the flavour to your liking, or you can also use any dairy free ice cream (thank you Ben and Jerry). Muesli is the queen of cereals. Try this overnight muesli recipe if you want to wake up and have brunch right away. 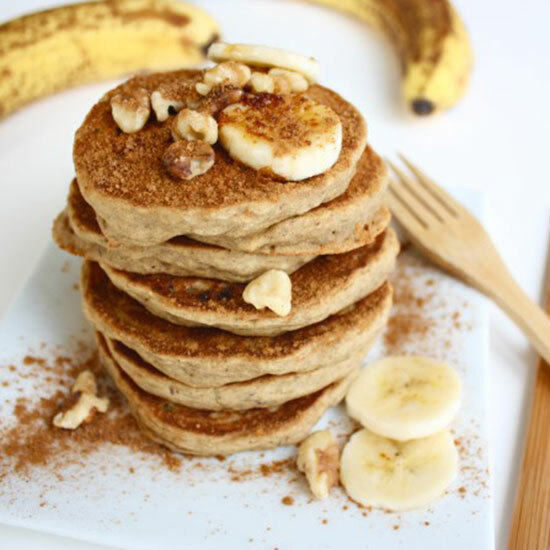 Try this recipe for vegan and gluten free banana pancakes next time you want pancakes and want to switch it up. There are two kinds of people in this world: waffle eaters and pancake eaters. 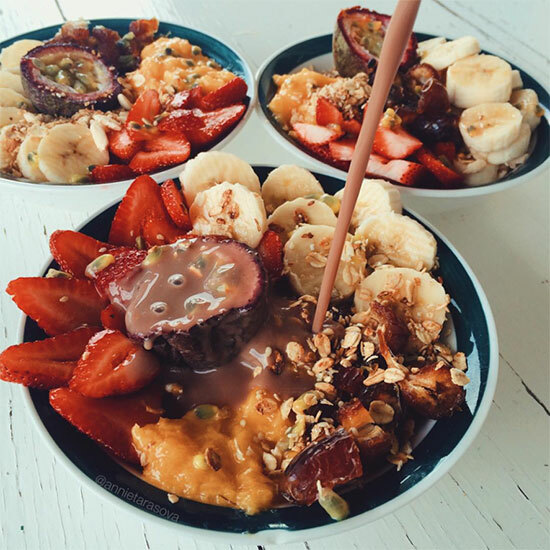 But let’s be honest — when food looks this good we’ll take both. 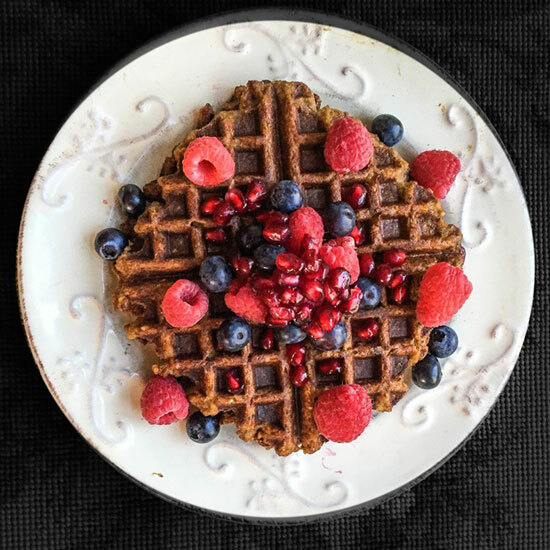 Get inspired by this article on how to master the vegan waffles. 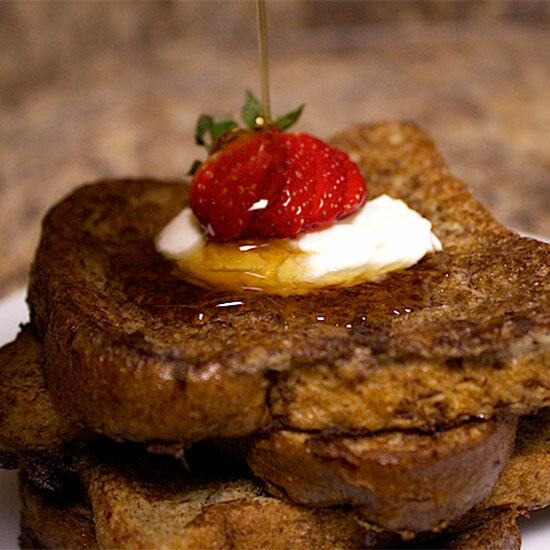 Vegan french toast? Yeah, it’s a thing and it is delicious. Instead of soaking the bread in eggs and milk, soak it in almond milk (or any milk alternative of your choice) and chia seeds. Get the recipe. 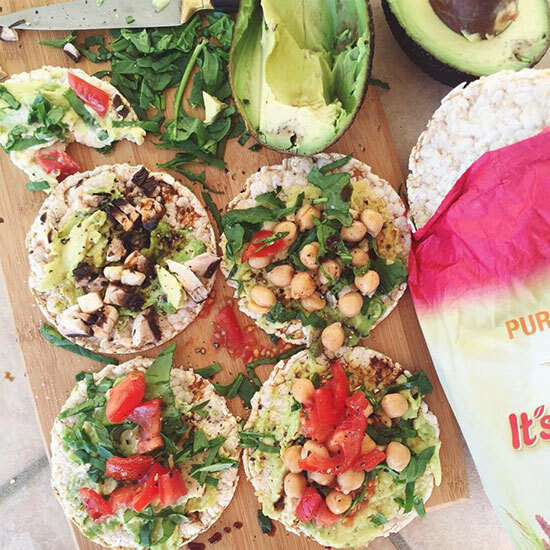 We all love the classic avo toast, but for a twist, add any vegan toppings you want, like chickpeas. It’s a sad world when you think all there is in a perfect breakfast sandwich is eggs and bacon. Going vegan has only expanded my appreciation for food. I recommend switching out the typical bacon and eggs part of the sandwich for roasted sweet potato. Get the recipe. Who knew this was a thing? Shout out to vegans for figuring out how to replace eggs so perfectly. Get the recipe. My love and constant craving for donuts have not been left unfulfilled since turning vegan. 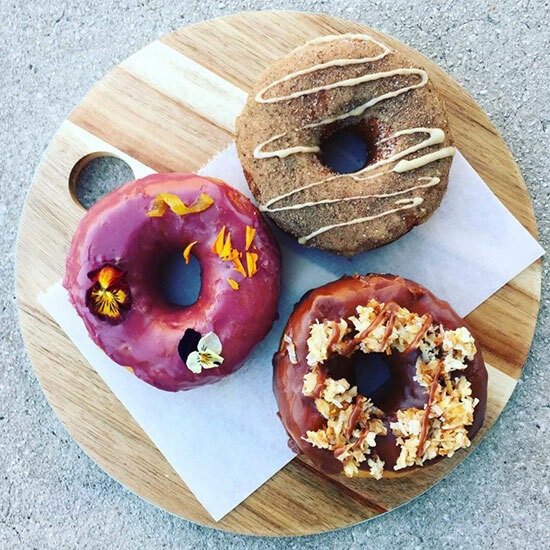 Yes, vegans can eat donuts. For example, this microwave donut recipe only takes five minutes — perfect for breakfast. 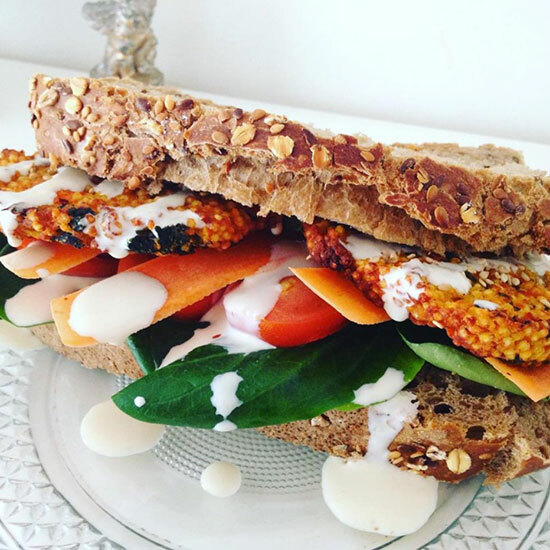 See all 17 Vegan Brunch Recipes at Spoon University.